The exhibition will be available to the public until the end of July 2019. The Golden Foundation Residency Program provides a unique opportunity to explore the widest, most innovative range of materials and technology available today for professional artists working with paint. expanding cityscape called Zeroland, Joel’s work Pastiche is art history meets the convenient and low cost consumerism in today’s society. 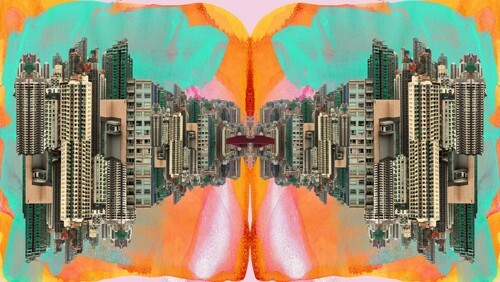 Both Zeroland and Pastiche examine urban living in the 21st century. 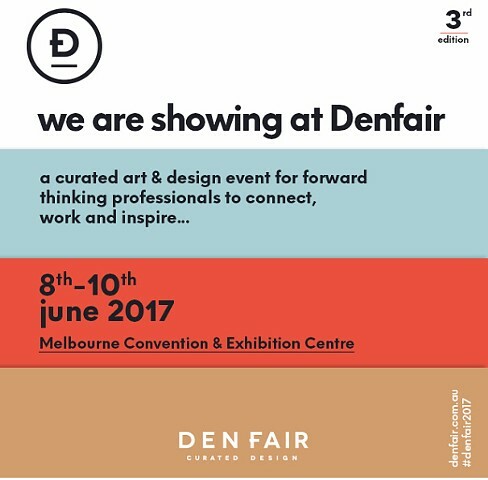 Fox Galleries are showing a selection of my new archival art wallpapers at Denfair in Melbourne. 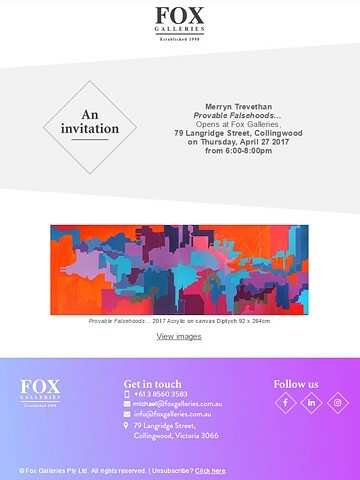 Merryn is thrilled to be included in Abstraction Twenty Eighteen- a comprehesive survey of contemporary geometric and reductive art in Australia. Abstraction Twenty Eighteen is series of exhibitions that complement NGV’s The Field Revisited, by highlighting practising artists who continue to explore colours within geometric abstraction and collectively demonstrate the influences that the seminal Field exhibition of 1968 has on artists practising today. 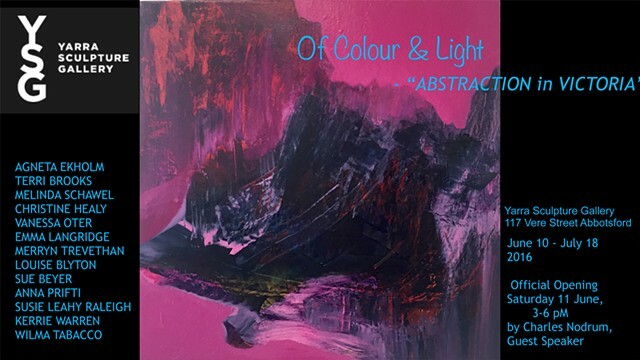 Abstraction Twenty Eighteen will be exhibited across five of Melbourne's most important abstract and non-objective galleries and offers a selection of over 100 artists who are working within this genre. 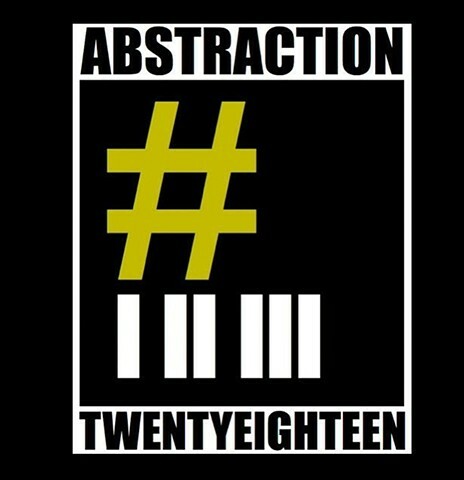 Abstraction Twenty Eighteen will include extended opening hours please check our website for details. 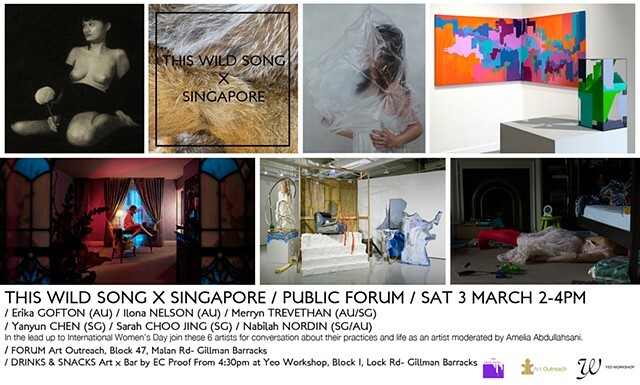 In the lead up to International Women’s Day, This Wild Song will present a public forum featuring 3 Australian artists in conversation with 3 Singaporean artists moderated by arts writer and curator Amelia Abdullahsani. Artists will speak about their practice and life as an artist followed by a Q & A engaging both each other and the audience. and check out Sarah Choo Jing’s latest exhibition Accelerated Intimacy in the gallery. 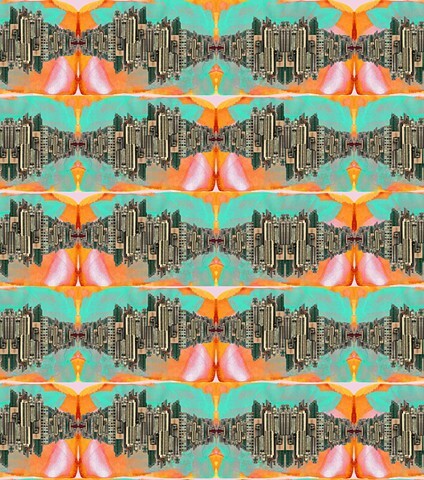 Join artist Merryn Trevethan in a collaborative mural-making activity with the use of washi tape from mt.maskingtape! 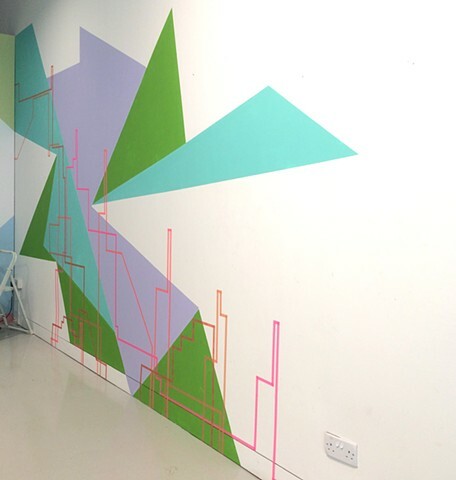 Art enthusiasts are invited to work with Japanese washi paper masking tape to fill our walls with lines, shapes and colour! MT will also have a pop-up stand stocked with their cute and stylish tape designs with special promotions. 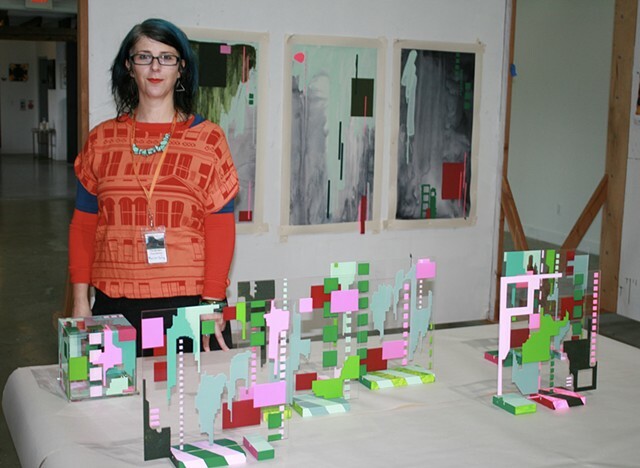 Merryn has been selected for the 2018 Sam and Adele Golden Foundation for the Arts Residency Program. She will travel to upstate New York in October for a 1 month Exploratory Residency. 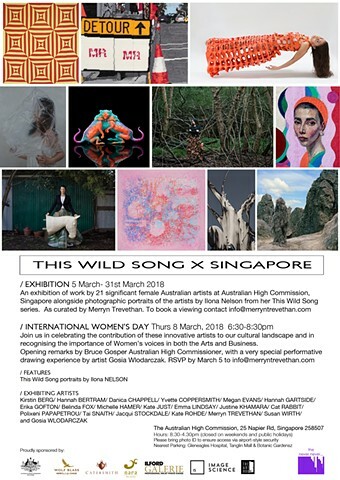 An exhibition curated by Merryn Trevethan of Australian and Singaporean based artists exploring some of the cultural ties that connect these two countries. Whether it be through study at Universities, Artists in Residence programs, workshops and mentorships or be it simply living in a new country, cultural exchanges can take on a wide variety different of forms and the cross pollination of ideas that enriches both participants and those they encounter along the way. This exhibition recognises artists who have taken the artistic plunge in another country and celebrates their continuing contribution to an ongoing cultural dialogue. Create your own artworks on canvas using a variety of innovative new Acrylic painting techniques- including direct image transfers, mono-printing with Gelli plates, playing with stencils, pouring mediums, building up seductive surfaces with texture and new calligraphic applications using High Flow Acrylics. Using a massive range of GOLDEN Artist Colors- Acrylic Paints, Gels, Grounds and Pastes. Including Crackle Paste, Glass Bead Gel, Light Molding Paste, Fiber Paste, and Self Leveling Gel with the full range of beautiful paints including Fluids, Heavy Body and the new High Flow Acrylics. Don’t forget the GOLDEN Bling range of Metallics and Interference colors! COST: $595pax, $535 returning student discount, $535 early bird discount (payment by 2 SEP), includes all materials including supports, GOLDEN paints and mediums and tuition. 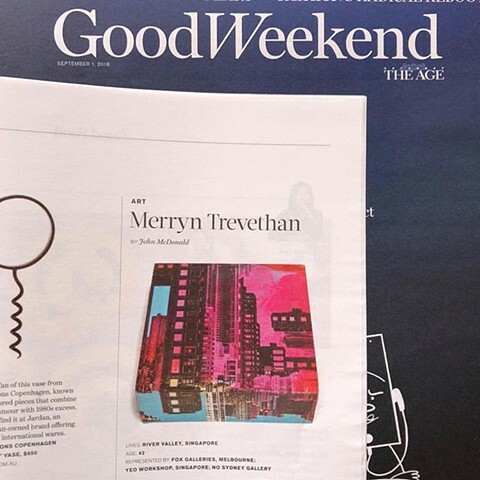 Merryn Trevethan, the Singapore-resident- Melbourne- native is proud to present a body of work that marks a chapter of her practice entitled “The Party’s Over”. 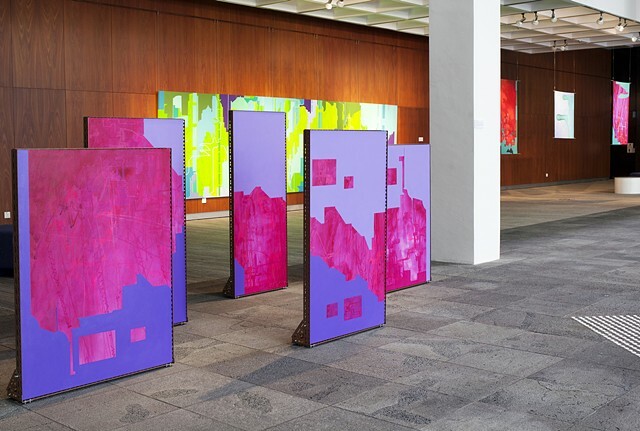 The exhibition is hosted at the Australian High Commission, where the artists will show large-scale paintings on canvas, and hanging silk banners that form a dramatic and colorful backdrop to the architectural splendor of the building. 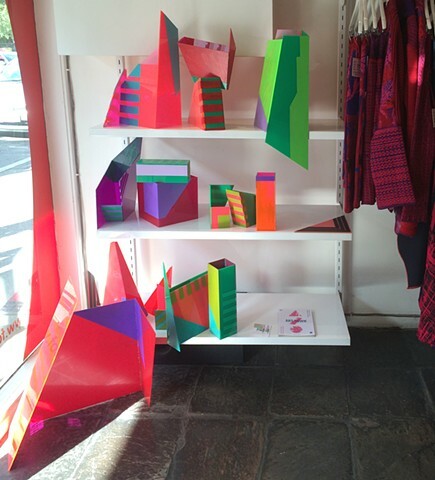 Merryn recently created some new perspex sculptures in the window of FOOL Clothing in Greville St, Prahran for Art Town 2016. See all of the vivid, diverse works created during the recent Art Town live weekends at our showcase at Chapel Off Chapel. Entry is free and all are welcome. 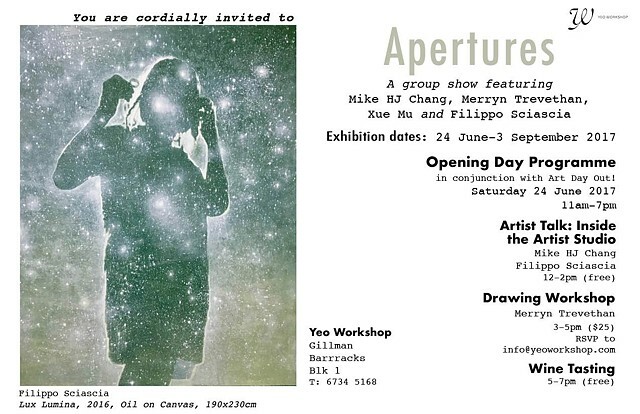 This is a great chance to OWN some original, genuine and affordable art as the pieces will be up for sale. Opening night is Tuesday 26th April from 6pm and the exhibition runs until 14th May during Chapel off Chapel's opening hours. Here in the international art hub in the heart of Asia, this tour introduces the new directions of contemporary Australian art, and the adaptation of Australian art in Singapore. The tour includes two complementary talks, with the chance to asking questions and challenge concepts to better understand the practice of each artist. The tour begins at Yavuz Gallery with an exclusive sneak preview of Antipodean Inquiry: an exhibition of work by Australian artists. 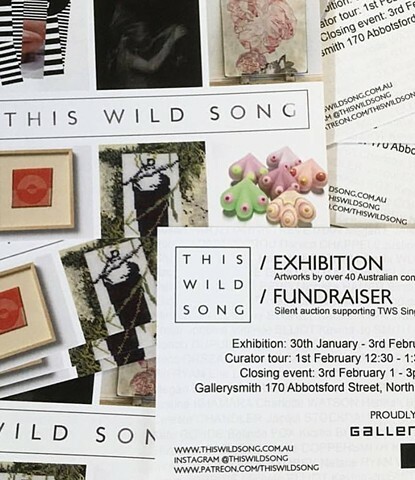 Be the first to experience this major exhibition of contemporary Australian art, ahead of its official opening on 22 January 2015. Guest Curator, Owen Craven, will lead the tour on a curatorial walk-through of the show. 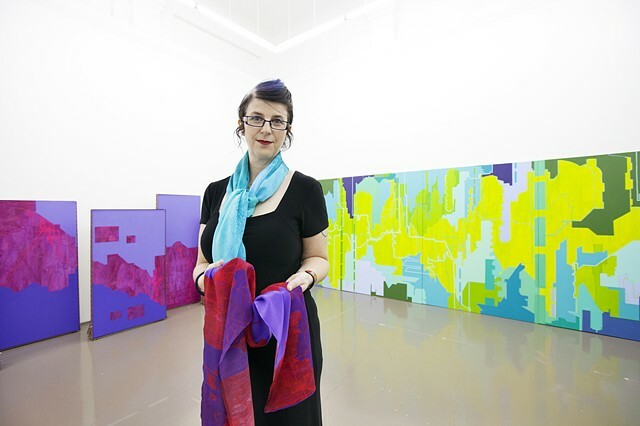 Synopsis: Antipodean Inquiry presents new work in various media by fifteen leading artists from Australia. The show seeks to explore the vast and varied approaches that make up the fabric of contemporary Australian art, highlighting disparate narratives. 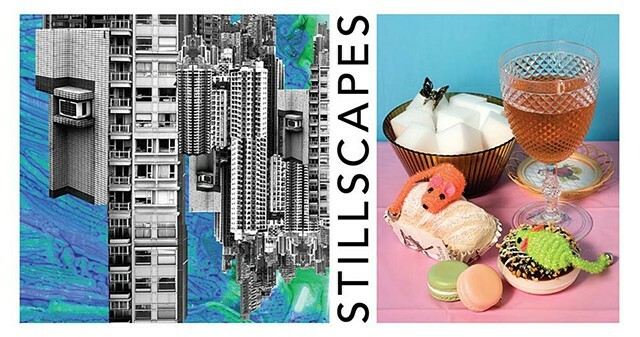 Exhibiting artists include Penny Byrne, Tamara Dean, Euan Macleod, Danie Mellor and Joan Ross. Then a short walk from Yavuz Gallery to Yeo Workshop in Block 1 where a welcome reception will be held in HUFF (House Under Four Flags), a 10m x 10m wooden sculpture, located outside Yeo Workshop, and currently occupied by Australian artist Merryn Trevethan as part of her three-month residency program. HUFF is a self-constructed sculpture built by artist Marcin Dudek. In response to his own need to work within a studio, he built his own. 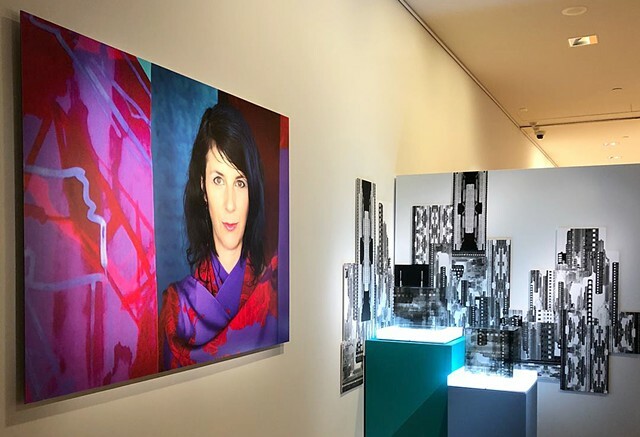 The work fulfilled the task of adding an exterior dimension to the gallery but also provided spatial availability in which artists could work in. Artist Merryn Trevethan has adopted the outdoor structure for a three-month residency program titled ‘The Outdoor Studio Installation Project.’ Seen as a platform upon which she extends her practice, the dynamics of public vs private are also questioned. 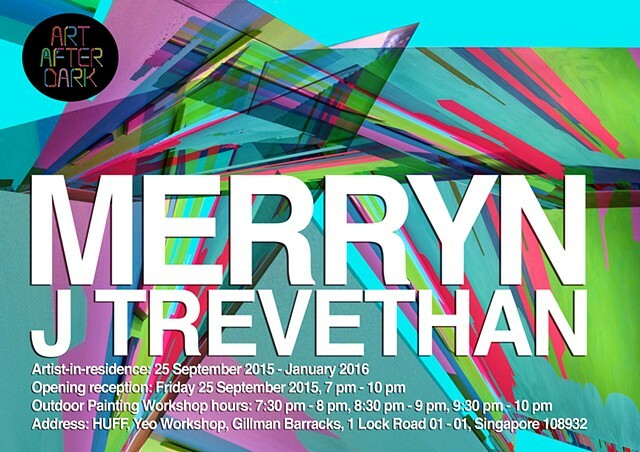 An artist’s talk will commence, formally introducing the artist Merryn Trevethan, her practice and objectives. 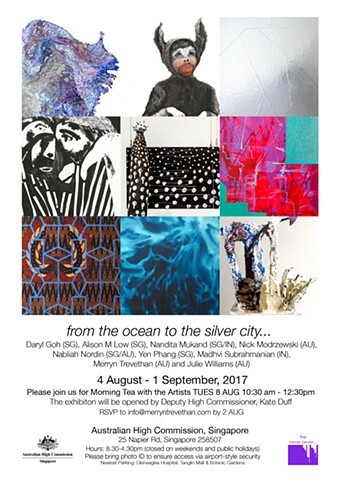 Engage in the conversation of Australian art in the context of Singapore. Due to storage issues created by my recent relocation to Singapore I am happy to offer a selection of available works at great prices! (or by appointment between SAT 7 NOV and SAT 14 NOV)... or for those who can't make it you can see available works and prices here- if you want to purchase a work write SOLD in the comments and I will contact you.Works can be taken away on the day or delivery can be organised. The Outdoor Studio Installation Project is a residency program currently being completed at Gillman Barracks, Singapore. 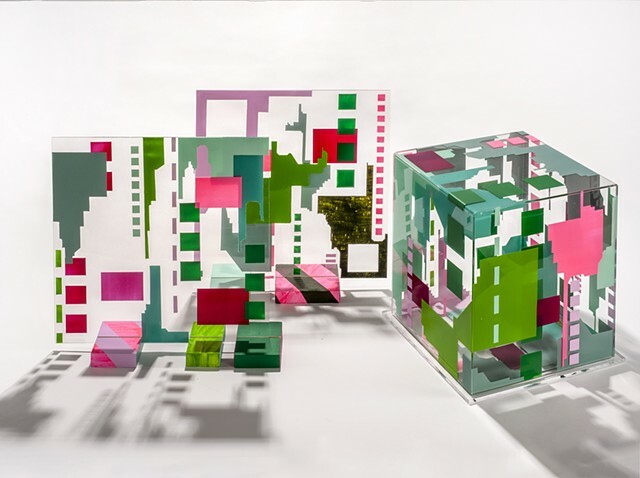 Seen as a progression of her own creative practice and an approach to incorporate her surroundings within a functional structure, the project is a means of exploring new possibilities. The structure titled HUFF (House Under Four Flags) is a 10m x 10m wooden sculptural installation and artist’s studio built by artist Marcin Dudek. The intention of the work was to create a functional space; more specifically to define it as an external artist’s studio. In light of the latter, Trevethan is fulfilling its objective and occupying the so-called ‘artist’s studio’ with her own distinctive practice. Elaborating on the notion of spatial awareness, the aim is to introduce the personal to the external. Therefore in some respect the project may be considered a means of public art. The project will commence on Friday 25th September 2015 and will be an ongoing project until January 2016. The work will grow periodically, allowing all gestural motifs to encapsulate the space over time. 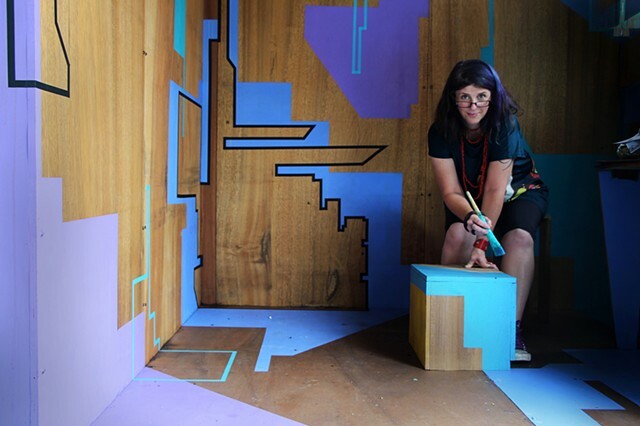 Merryn was recently commission to create a large-scale artwork for Facebook's new Singapore Campus @ South Beach Tower as part of their Artist in Residence Program. Grey Projects is proud to present the second edition of Print Lab, our annual Art & Design book exhibition.